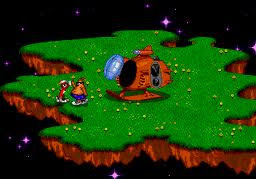 ToeJam & Earl genesis games coming to XBLA/PSN in November! The original ToeJam & Earl games from the Genesis days of gaming will be arriving next month on the PlayStation Network and Xbox Live Arcade, Joystiq has confirmed. Both ToeJam and Earl and Panic on Funkotron will be available as a separate purchase for PSN at $5 each, or $10 as a single download on XBLA. The official release date for the games will be November 6th for PSN and the 7th for XBLA in the US. These titles were some of my most played games in my youth, and it'll be great to experience them once again and let the nostalgia flow back!